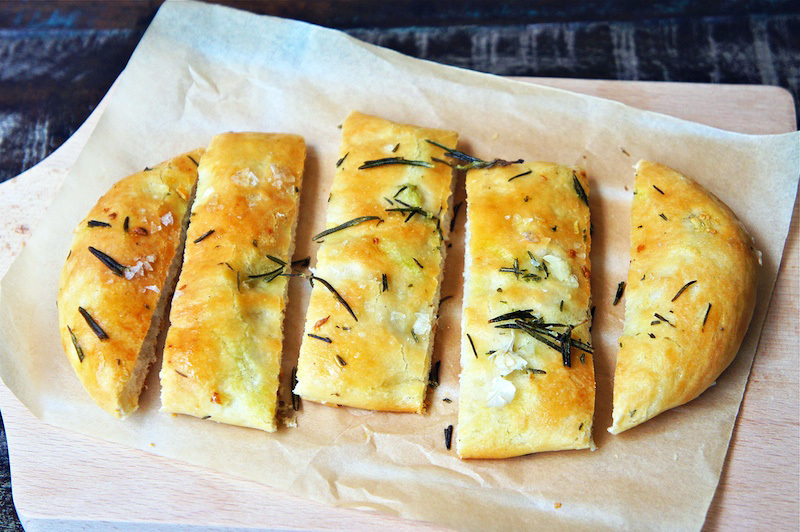 This Rosemary Garlic Flatbread is light and fragrant. Try making your own dough and have some fun shaping it. This bread goes well with the Roasted Red Pepper Relish which I had posted earlier. Put the warm water in a bowl. Add honey and the yeast. Stir to mix. Set aside for 15-20 minutes or until the yeast has dissolved and the mixture is frothy. Sift the flour, salt and into a large bowl. Make a well and pour in the yeast mixture and add the remaining 150 ml of warm water. 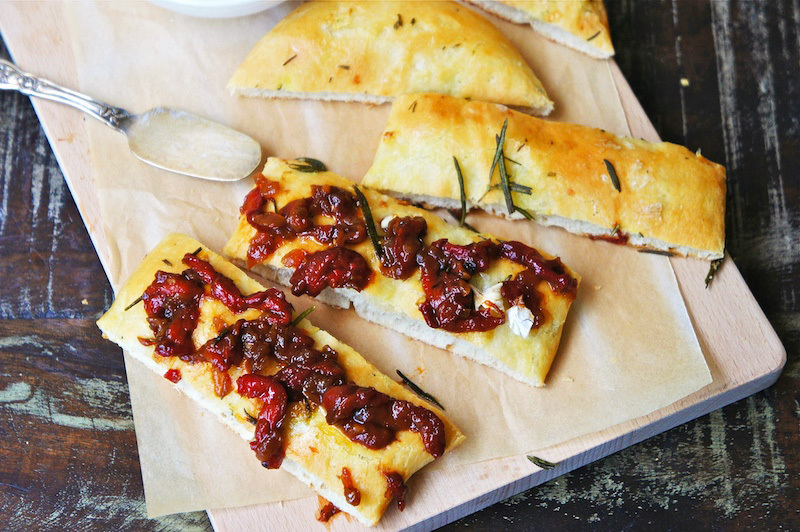 Gradually combine to form dough and add the olive oil. Knead the dough for about 13 to 15 minutes until it is smooth and elastic. Cover the bowl with a piece of cling film and set aside in a warm, draught-free place for 1 hour or until the dough has doubled in bulk. Rosemary Garlic Oil: Combine the garlic, rosemary, and sea salt in a pestle mortar, lightly crush all the ingredients and add in the olive oil. Set aside. Punch down the dough and knead it again. Divide it into 4 equal balls. Roll this ball into oval/tear-shaped, about 8 inches in length and about 4 inches wide. Place the shaped dough on a baking tray. Line with parchment paper. Brush the top with rosemary and garlic oil. Set aside and leave to rise again for about 30 minutes. Preheat the oven to 425˚. Bake for about 12 to 15 minutes. Serve warm. This looks like something I could enjoy all on its own!